A few weeks ago, when New Jersey’s weather forecast was for a storm with rain, I was almost looking forward to it. Rainy days for landscapers are sometimes looked at as troublesome or delaying, but I try to take a more positive view. On a rainy day, I have the time to step back and observe what’s going on with my garden. I take the time to look out the window and observe. I know that the plants are getting what’s important for them, which is water. I enjoy the rain, I enjoy working in light rain and I enjoy looking out the window when it rains. It’s refreshing to watch as the rain cleanses the outdoors. But on that day a few weeks ago, the forecast suddenly changed to include a tornado warning. Something like this creates a lot of anxiety for me, because I’ve dealt with all types of disasters–Hurricane Irene, Super Storm Sandy, and blizzards– that have wreaked havoc in people’s yards. These storms require me to do tons of maintenance as I clean up dead trees and broken branches. Storms generally cause a lot of craziness and anxiety for most landscapers, because when a tornado or hurricane hits, the aftermath is a complete disaster for about two to three weeks. We call the money we earn cleaning up after the big mess left by a major storm “blood money.” Although the money is good, you really, really have to work for it. And seeing all of the work people put into their gardens and landscape destroyed can be distressing. But this is all part of the business and joy of gardening and landscaping. There will always be times when there is lots of rain, or snow, drought or heat stress. These are all different types of variables that we all to have to deal with. Some days it’s wonderful, and some days it’s not. So you have to take the good with the bad. You can only do so much and the rest is out of your control. We’ve learned this sad lesson from history: as much as we can build a civilization, nature can tear it apart in a matter of minutes. All we can do as gardeners and landscapers is to keep in mind our weather zone and use zone guidelines to estimate how hot it will be, how cold it will be, and when the frost will come. 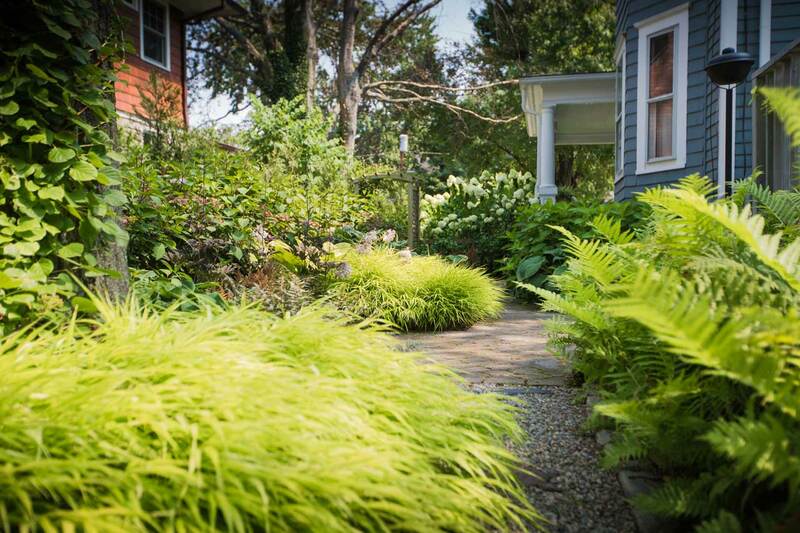 If nature takes a serious left turn away from these guidelines, we can only embrace the different types of elements that nature brings to our gardens. The cycles and the seasons are somewhat the same, but anticipate that things are a little bit different every year.